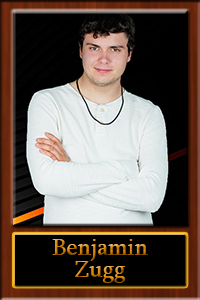 Benjamin came to MasterLube in 2015 while still in high school at Senior High. He worked as a pit & hood technician at the Heights Fourseasons MasterLube while he finished school and for a year after. During that time, he thought a lot about what he wanted to be when he grew up. With encouragement from his coworkers and MasterLube leadership, he looked into various paths for gaining job skills and finding a calling. In April, 2017, Ben joined the United States Marine Corp. “I was looking for a change of pace and this offered me a way to broaden my horizons while serving my country,” he said. His time spent around vehicles will be helpful; his military occupational specialty (MOS) is in motor transport, where he’ll be called upon to operate a wide variety of military vehicles.